Parliament is the supreme legislative body of a country. 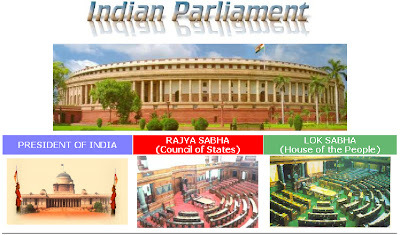 Indian Parliament comprises of the President and the two Houses-Lok Sabha (House of the People) and Rajya Sabha (Council of States). The President has the power to summon and prorogue either House of Parliament or to dissolve Lok Sabha. The Constitution of India came into force on January 26, 1950. The first general elections under the new Constitution were held during the year 1951-52 and the first elected Parliament came into being in April, 1952. 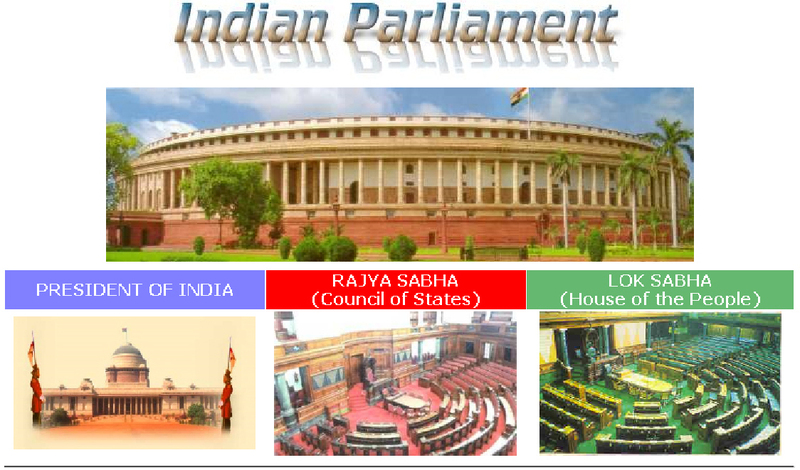 The Second Lok Sabha was constituted in April, 1957, the Third Lok Sabha in April, 1962, the Fourth Lok Sabha in March, 1967, the Fifth Lok Sabha in March, 1971, the Sixth Lok Sabha in March, 1977, the Seventh Lok Sabha in January, 1980, the Eighth Lok Sabha in December, 1984, the Ninth Lok Sabha in December, 1989, the Tenth Lok Sabha in June, 1991, the Eleventh Lok Sabha in May, 1996, the Twelfth Lok Sabha in March, 1998 Thirteenth Lok Sabha in October, 1999, the Fourteenth Lok Sabha in 2004. The 15th Lok Sabha came into being in 2009. Presently, India has 543 constituencies to represent in the Lok Sabha. Members of Lok Sabha and Rajya Sabha can raise questions, raise important issues under Rule 377, participate in debates, introduce private member bills. Lok Sabha and Rajya Sabha Secretariat releases the information relating to their participation in the House, incluing their attendance. Council of Ministers may not be able to raise questions, participate in debates, introduce private bills. Council of Ministers and the Leader of the Opposition are exempt from signing attendance. PRS India, a non profit research organisation, based at Delhi compiles all the information received from the Lok Sabha and Rajya Sabha Secretariat and publishes the analysed data in their site. Prime Point Foundation, a non profit organisation at Chennai honours the top performing Parliamentarians, based on the data released by PRS India and Lok Sabha Secretariat.